The Director General of National Information Technology Development Agency (NITDA), Dr Isa Ali Ibrahim Pantami, FBCS has called on ICT stakeholders and captains in the industry to use ICT to foster and sustain national development. The DG made this call while delivering the keynote address at the just concluded Beacon of Information and Communication Technology (BoICT) Awards held on Saturday at Eko Hotels and Suites, Victoria Island Lagos. Dr Pantami who was represented by the Head of Corporate Affairs and External Relations Unit of NITDA, Hajiya Hadiza Umar MNIPR, said that, the theme, ‘Leveraging ICT Value for Building Institutions’, aligns well with the growing movement to use ICT to foster sustainable development in institutions. This theme is echoed in both the United Nations Sustainable Development Goals (SDGs) and the Economic Recovery and Growth Plan (ERGP) of the Federal Government. Pantami further stated that, “accountable, inclusive, effective and smart institutions are necessary to achieve the SDGs, whether the goal is quality education, zero hunger, improved healthcare, economic growth or innovation. All the goals are to be driven by institutions and ICT provides a ready tool to attain these goals. He revealed that Nigerians, institutions and indeed the nation can experience a high level of sustainable development through the effective use of ICT. Citing example with an average smartphone which can have as many as 10 sensors. And with about 144 million active mobile lines in Nigeria, a sizable portion of which are smartphones, potentially giving us access to large volumes of data. With Artificial Intelligence and Big Data Analytics, such data can be translated into actionable insights for that would lead to sustainable development in the country, he noted. While urging captains of industries in the ICT sector to support ICT capacity building efforts both within their institutions and within the ICT Startup ecosystem, he stressed that the future of the ICT industry depends on it. The climax of the event witnessed honours of awards to deserving institutions, organisations and individuals who were voted online by ICT stakeholders and the general public. 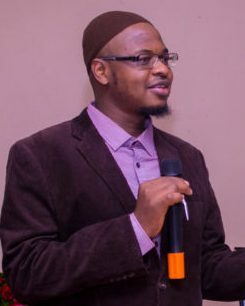 NITDA emerged the Government Agency of the Year while it’s Director General/CEO Isa Ali Ibrahim Pantami PhD, FBCS, FIIM is the Public Sector CEO of the Year.